His life, now nearly a century removed from the present, displays the virtues of a man whose heart beat with that of his Master. He loved his Lord, and because of that love he also loved his fellow man. The Moule family lived in the rural town of Fordington not far from the eastern coast of England. Handley was born in the year 1841. The family had seven sons, but also raised several boys who were being tutored by Handley’s father, a vicar. 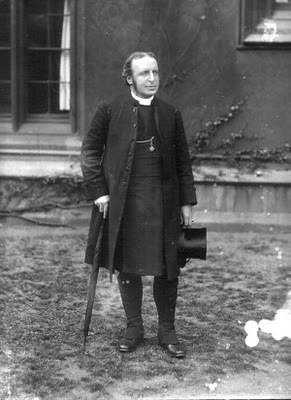 Handley was ordained in 1867, the following summer. After ordination, Handley lived with his father and assisted his ministry at Fordington. 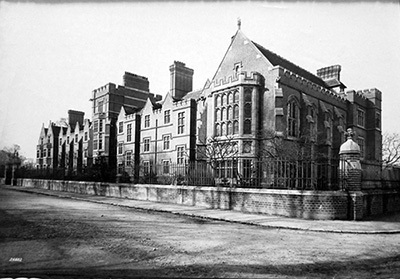 In 1873, he returned to Cambridge to become a Junior Dean. But in 1877, when his mother passed away, Handley resigned at Cambridge and returned to help his father. His father passed away only a few years later in 1880. During this period, Handley produced his celebrated commentary on the book of Romans. The local Bishop replaced the vicar with someone outside the Moule family, and a new opportunity rose for Handley. Word had reached him that a training school for minsters was being opened in Cambridge. Moule was asked to serve as first president of Ridley Hall. After settling at Cambridge, Moule married Harriot Mary Elliott in May 1881. He and his wife had two daughters. 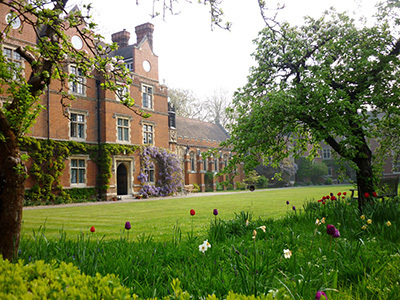 Moule spent 19 years at Ridley Hall investing in the academic and spiritual education of the students. Five hundred and one students trained at Ridley Hall and over twenty percent of them went on to the mission field. Twenty-one became Bishops in the Church of England. While President, Moule rose at 6:30 to spend time with the Lord before the 7:30 chapel, which was followed by breakfast. At 9:00 each day the students attended two hours of lectures. After lunch, they were given time to study in the library. Moule used this time to take walks alone or with one of the students. If accompanied, he would discuss current issues or troubles that the student was struggling through. Besides teaching, Moule acted as advisory to a student organization called the Cambridge Inter-Collegiate Christian Union, made of up students from different colleges within Cambridge. The group’s activities included prayer meetings and revival services. He also spoke at several conventions organized by the Keswick movement. Although he critiqued some of the Kewsick writings, he attended a meeting in 1884 and found that he agreed with much of what they were saying. Two years later he spoke at a Keswick conference and eventually preached at more than 12 conventions during his life. In 1899, Moule took on the position of Norissian Professor of Divinity. In his inaugural address, his two stated goals for his new post were to lecture on the Bible and to reintroduce the Reformation theology of Luther. Moule served in these two positions—president and professor—for twenty years. He wrote and traveled extensively during his free time. In such occupations, Handley Moule passed into a new century which was to be full of many surprises. The biggest change followed the news of the death of his former professor, Westcott. The Church had appointed Dr. Westcott Bishop of Durham several years prior. Moule received a letter offering him the position of Bishop of Durham. He replied with a letter of acceptance. The news was met with approval from the public, but some doubted that he could fill the large holds left by his predecessors. He did lack the administrative skills of the previous Bishops, but his strong spiritual character made up for that. Moule, now Bishop, found himself at the head of a collection of ministers with very different viewpoints. His gracious but firm manner, which had served him well as a Junior Dean, now came back into use. He had several dissenters, but none could question “his simple spiritual earnestness, and the conviction that love for his Master was his main thought.” His refusal to compromise his evangelical position won him great respect even among those who differed from him. Bishop Moule ministered to all kinds of people. He made regular visits to his clergy for fellowship and encouragement. As inevitable problems arose, he addressed them with compassion and wisdom, giving direction but never forcing someone to violate his conscience before God. He admonished the clergy to place all others before themselves and he led by example. After a mine collapsed in 1908, Moule hosted three large gatherings for the miners with up to 800 people in attendance. At his own home in Auckland castle, he and his wife hosted both common people and royalty. Moule took part in two coronations during his life-- those of King Edward VII and King George V. Moule’s last trip during his life was to visit George V at the king’s request. 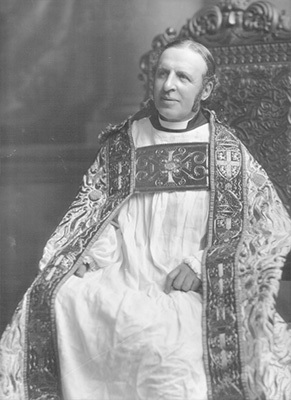 The Bishop’s later years coincided with World War I. Moule had to deal with those among his clergy who claimed that the New Testament banned war. He also had to address the question of whether the clergy should leave their congregations and go to war. The Bishop wrote letters of encouragement to the troops from his diocese and organized national prayer movements. He rejoiced and praise the Lord on Armistice Day. Moule’s life began to draw to a close. One of his daughters had passed early during his time as Bishop. His wife also passed on July 14, 1914. Her husband showed great strength during this trial, but it is evident that he felt the loss deeply. Now alone, he continued to minister for six more years. During April 1920, Bishop Moule received a summons to meet with King George V at Windsor. After the visit, he weakened in the following three weeks spent back at Cambridge. Here, among family and friends, he was confined mostly to bed, but kept busy writing letters as he could. When his strength for writing failed, he asked for hymns to be sung and Scripture to be read. On May 8, 1920, Moule slipped peacefully into heaven. Christian love characterized the life of Bishop Moule. For nearly sixty years he ministered sacrificially to those whom the Lord had placed in his care. He taught with knowledge. He supported his aging parents with tender care. He ran Ridley Hall with Spirit-filled wisdom. He raised his family in the nurture and admonition of the Lord. He shepherded his diocese with the love of a father. But above all these things, he served his Lord and rejoiced in the thought of one day meeting Him. From the book, Handley Carr Glyn Moule, Bishop of Durham: A Biography. John B. Hartford and Frederick C. MacDonald. (London: Hodder and Stoughton, 1922). Outlines on Christian Doctrine. Hodder and Stoughton: London, 1892. The Surrendered Life. Christian Literature Crusade: London, 1884. Veni Creator: Thoughts on the Person and Work of the Holy Spirit of Promise. Hooder and Stoughton: London, 1900.